Flowers: one or two that droop from slender peduncles. Perianth; bell-shaped, of six separate divisions. Stamens; six. Pistil: one; styles-three-cleft. Leaves; lance-oblong and sessile, as the name indicates. Stem; angled. 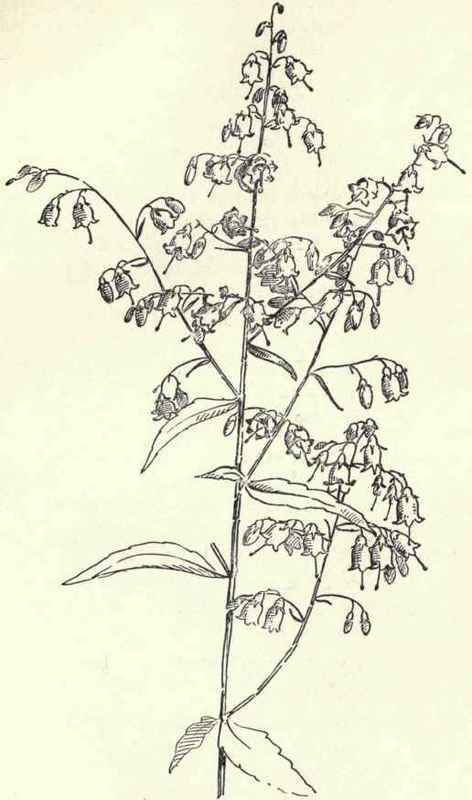 The flowers of this pretty plant are usually described as drooping modestly, and no doubt it is only to those of perverted eyesight that they appear like a naughty little girl who might be good if she would; but from lack of the wish is continually constrained to hide herself under her nurse's apron. It would be so much pleasanter for everybody if the bellwort would not hide away under its leaves quite so much.